When you are looking to keep the party going from the night before into the day, we have the options you’re looking for. These parties are more than a relaxing bar atmosphere on an afternoon (or sometimes night); it’s everything you want in a real, “Pool Party”. The type of pool party we are looking for isn’t your average mom and pop swim club that has some music and food. I’m talking your favorite DJ’s, beautiful people, great atmosphere, VIP bottle service, high-end cocktails, food, and an experience like no other. Look no further than the 5 best pool parties around the world that are accessible to all. Don’t worry; if you’ve never been to a pool party like this you can still experience the craziness of a nightclub outside at a pool. There’s nothing like a “Las Vegas style pool party”, being around your friends, drinks flowing, amazing people to make it feel like you haven’t missed a step from the night before. 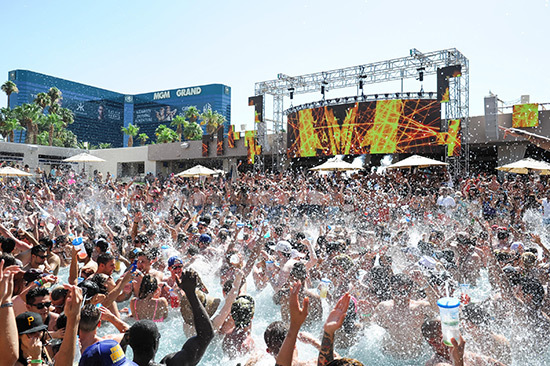 Wet Republic has been one of the most recognizable names when it comes to Las Vegas Pool Parties for over 10 years running now. You might be waiting in line a little bit if you don’t come early, but it is well worth the wait. Behind the leadership of Hakkasan Group, they pump in some of the top DJ’s in the world including Calvin Harris and Tiesto for fans to enjoy, day in and day out. The party doesn’t just stop during the day; Wet Republic goes through the night on Wednesdays in the middle of the summer for a night swim. Miami is sometimes a quiet the place for most people to go hit the beach, catch some rays and relax. Then there are the people like us who are looking for something a little more than just that, a real party. Hyde Beach is the only pool party in Miami and correlates to a Vegas-caliber day party with the atmosphere that allows you to forget you’re right next to one of the most popular beaches in the world. This is a party that no one can really rival around the world, Ibiza is an animal all in its own that you can’t find elsewhere except for possibly Las Vegas. Ushuaia has one of the largest stages, and one of the largest pool party venues in the world. Unlike most pool parties, this one really kicks off at night. People travel from all corners of the world to experience this every weekend event. Are you into a little bit (or a lot a bit) of bubbly? Look no further; this is the place for you. 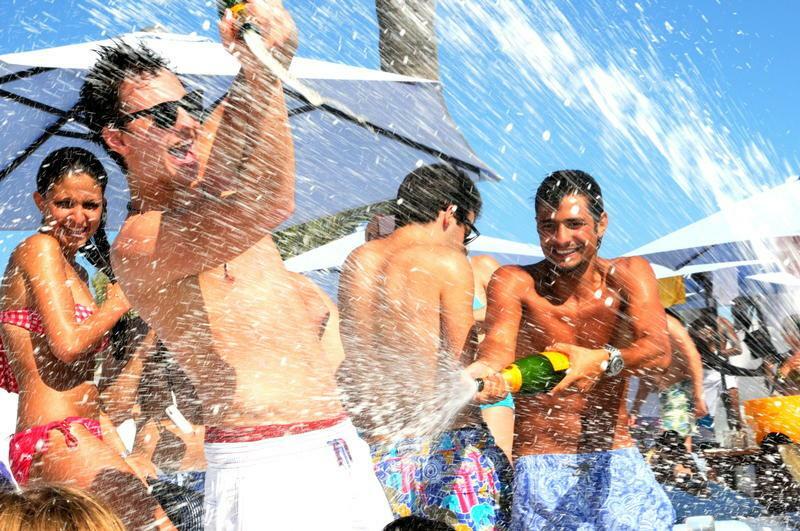 I don’t mean if you like to drink it, I mean if you like to spend a lot of money at an exclusive spot, just to spray a bunch of champagne on beautiful people. If that tickles your fancy, this is the place for you. Some people call it a waste, others may call it, “another day of fun in the sun”. Enjoy the summer on the east coast and not looking to fly to Europe, Miami, or Las Vegas? 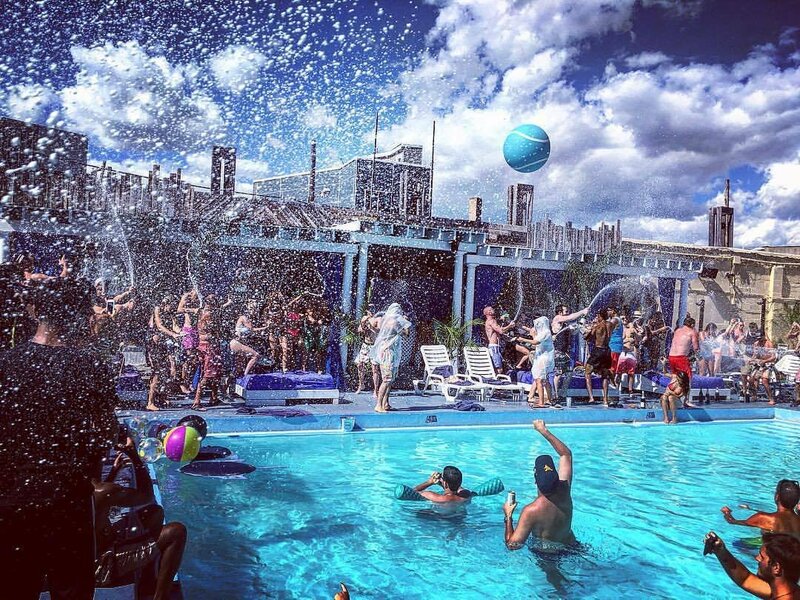 Philly has it’s own little slice of pool party heaven in your back yard, Monarch . Monarch is Philadelphia’s only 21+ outdoor pool, daylife at Monarch is centered around a 30,000 gallon heated outdoor pool. Monarch offers bungalows, cabanas, daybeds, & lounge chair for guests. Enjoy poolside beverages, food, music, bottle service, and more. To Update or Not To Update, That Is The Question?